Required Domain Registration Transfer – Trick or Treat? This entry was posted in Domain Registration Services and tagged domain registration, domain registration services, domain registration transfer, domain transfer on March 2, 2018 by DJ Montauk. If you’re looking to register domain names for your business, service, product, or brand for local and global markets, there is nothing easier than registering your domain with GlowHost. At GlowHost we offer secure and reliable domain registration services to help you get the domain you want, fast. With easy-to-use domain registration and account management tools, GlowHost makes it easy and inexpensive to register a web address, transfer your domains, or setup your own domain name reseller accounts. In conjunction with our domain registration division site, InstaPro.net, GlowHost can offer affordable domain names at discounted prices. You can get your domains registered for only $1.99 when you order any non-domain product from InstaPro.net. Sounds like a good deal, right? We think so. 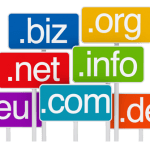 Amazingly simple, affordable and reliable domain search, registration and management make our domain registration service one of the best deals available today. This entry was posted in Domain Registration Services and tagged bulk domain name registration service, bulk domain transfer and free domain renewal service, domain name registration, domain name reseller accounts, domain registration services, InstaPro.net, private domain name registration on January 6, 2011 by Matt Lundstrom.